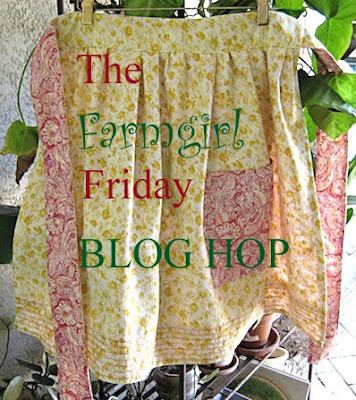 Happy Farmgirl Friday! Welcome back to your favorite hop of the week! It's time to get the kettle whistling, find your comfy chair with your laptop or i pad and call on your farmgirl ( and boy ) friends from far and wide! Last weeks hop ran the gamete! There were many top ten posts for 2013. It's always good practice to take some time to review and celebrate last years accomplishments. I'll be sharing more fun and creative ways to do this in a future post, but for now let's just give ourselves a pat on the back for all we accomplished and shared in 2013! With a new year also comes new farm babies! Congratulations is in order for the new baby goats that were born or are on the way! And, we can always count on seeing homesteading goals for the coming year! Planning anything new is always so exciting isn't it? Speaking of planning, I took a fabulous virtual workshop this week with Laura West Center for Joyful Business and I learned a brand new CREATIVE way of planning out my year! I'll have a full post on Monday and tell you all about it with pictures and everything! I don't want to keep you another minute! It's time to link up for your weekly dose of farmgirl soul-food! Be sure to leave a note if you're new to the hop! If you haven't clicked that follow button yet, please join us and be sure to stop by our FACEBOOK page and like us there too! As always, thank you for your continued participation! Wishing you all a wonderful weekend! See you on the hop!